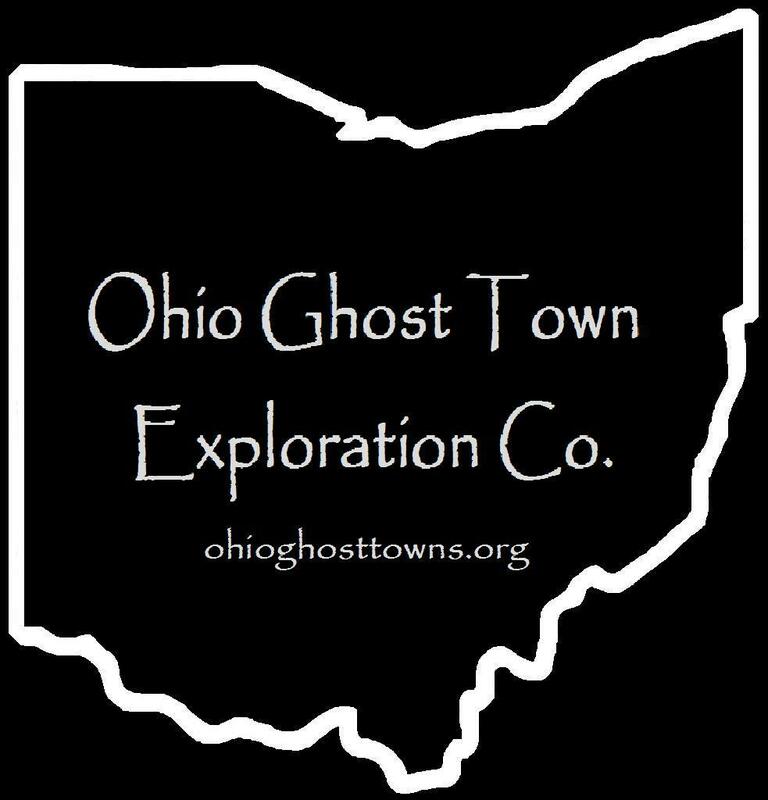 Ross County – Ohio Ghost Town Exploration Co. Description: Revolutionary War veteran General Nathaniel Massie (1763 – 1813) & Dutch immigrant brothers Jacob & Enoch Smith built a dam together at the falls of Paint Creek in the late 1790s. Nathaniel built a grist mill, distillery, & a small furnace on the north side of the creek & a saw mill on the south side of the creek, while the Smith brothers built a large saw mill on the north side of the creek. The mills went into operation in 1798 & they platted Amsterdam in 1800. Nathaniel didn’t want to compete with the Smith brothers in the lumber industry, so he abandoned his saw mill after building his house & supplying lumber for a few neighbors. Fine farmland along the creek attracted new residents & the town quickly grew with many cabins & a few shops. However, the location was deemed unhealthy & supposedly malaria nightmare. Although those sentiments were mostly boasted by people with interests in other potential town sites. Nathaniel looked for a more favorable site anyway, founded Bainbridge in 1805, & Amsterdam was subsequently abandoned. A historical marker for Nathaniel Massie’s home in Paxton Township is on the south side of US 50 just west of Bainbridge. There’s not much to see in Knockemstiff aside from a few old buildings, but it had a reputation for being a tough place to work & live. The town had several taverns over the years & bar fights were pretty much a local past-time. We couldn’t find any info about the area prior to it being called Knockemstiff. When it was Shady Glen or Glen Shady, there probably just wasn’t enough around for historians to write about. It was likely originally named after the abundance of local shade trees. The various stories of how the town was renamed Knockemstiff have been disputed but always involve a brawl of some type. The center of town is near the Shady Glen Church of Christ at the corner of Shady Glen Rd & Black Run Rd. Knockemstiff wasn’t on a 1919 county map, but appeared on maps in the 1940s. Many residents that didn’t farm worked in mills or factories in Chillicothe & making moonshine was also a generational tradition, passed along through families & friends. The population in 1940 was reported around 200 & its peak was possibly as much as 400 in the 1950s. A baseball field was built by volunteers in the 1960s & a couple of bars were still in operation for a few decades after that. There are a few ghost stories surrounding the town & a couple of books were written by Donald Ray Pollock who grew up there, “Knockemstiff” (2008) & “The Devil All The Time” (2011). His parents were the last citizens to run a convenience store in town. The old Knockemstiff town sign was shot up with bullet holes, & on top of the strange town name, always made passersby wonder about the place. We’ve been told there’s a new town marker that has been put up in recent years. Thanks to Judy Nichols for helping us improve our research on Knockemstiff! Her grandfather, World War I veteran Fred Darling, reportedly grew up there & is buried in Three Locks Cemetery in Franklin Township, Ross Co. about 15 miles east of town. Shoults Cemetery on Spargursville Nipgen Rd was established in the early 1800s on land originally owned by War Of 1812 veteran John Storm (1790 – 1889) and Diana (DeHart) Storm (1796 – 1866). They both moved to Ohio from Virginia at young ages with their families. Their daughter Elizabeth and her husband James Shoults inherited the land. They were all buried in Storms Cemetery on the west side of Spargursville Nigpen Road south of Sulphur Lick. The Storm family donated land for a train station on the Dayton, Toledo, & Ironton Railroad. The town also had a grain elevator, general store, and a post office from 1887 – 1940. Farming was the main industry along with anything else the citizens could do, such as blacksmith work and cabinet making. Storms Chapel on Spargursville Nigpen Road was built in 1897. It’s the last public building left in town and is still in operation. Tuscon was originally called Charleston. It’s unclear where either of the town’s names came from & a lot of its early history is still a mystery. The first big thing that happened there though was when Samuel Wheeland (1811 – 1896) built a steam powered saw mill & corn cracker on Walnut Creek in 1842. It was sold in 1852 to Greenberry Hanson who added millstones to convert it into a regular grist mill. The mill was later sold again to the McGee brothers. Tucson also had a general store, mechanic, about a dozen houses, & a post office from 1890 – 1907. Most of the original settlers were buried in Mt. Carmel Methodist Cemetery, about 4 miles south of town on Charleston Pike near the intersection of Walnut Creek Rd. Some other residents were buried in Charleston Cemetery next to Charleston Church of the Bretheren, north of town on Dunkard Hill Rd. There are also several old & abandoned buildings near where the center of town was.